Gakken Co., Ltd. (Kabushiki-gaisha Gakush Kenky Sha) entreprise japonaise créée à Tokyo en 1946. Ils sont aussi une maison d'édition qui publie divers sujets sur le sports, la musique, l'art, l'histoire, l'animation, la cuisine et les puzzles éducatifs. Ils ont aussi participé à la production de films, dont Solar Crisis. 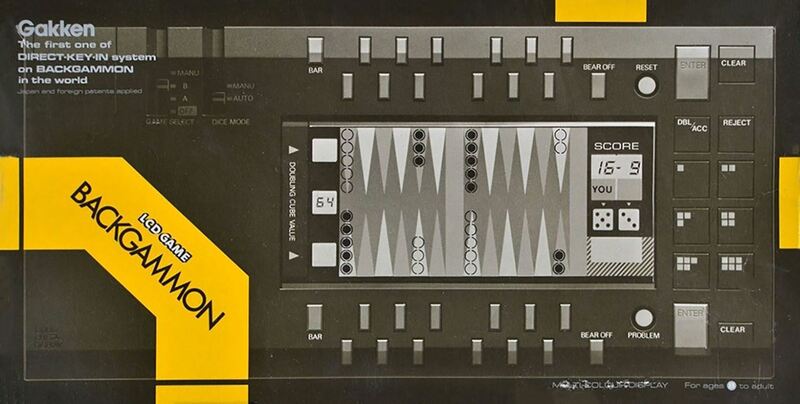 BACKGAMMON 2 is played by one or two players. Two dice are then thrown, automatically or manually. If the first (or left hand dice) is higher than the second (or right hand dice) then the player makes his move first. If this first (or left hand dice) is lower then the computer (or the second player) makes his move first always according to the pip count on each dice. The player who bears off ail his 15 men first is the winner. The white and black men are moved in opposite directions around the board. 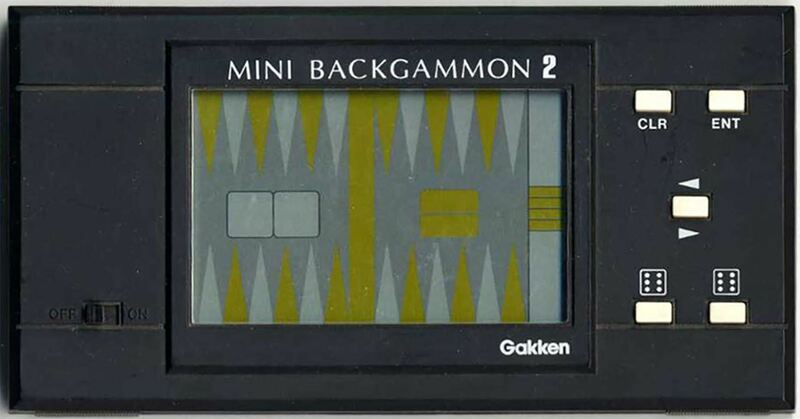 BACKGAMMON 2 offers a game of great excitement where the moves of one's pieces are determined not only by the players skill but also by an element of chance. 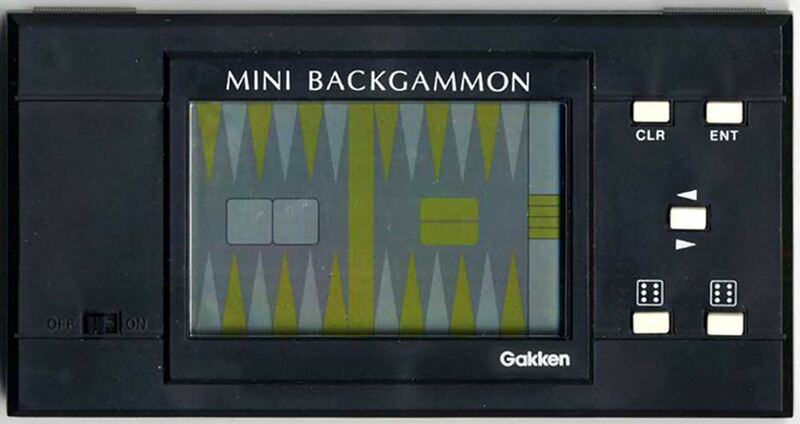 BACKGAMMON 2 offers 4 playing modes and 2 playing levels, running and waiting, in conjunction with automatic or manuel throwing of the dice.